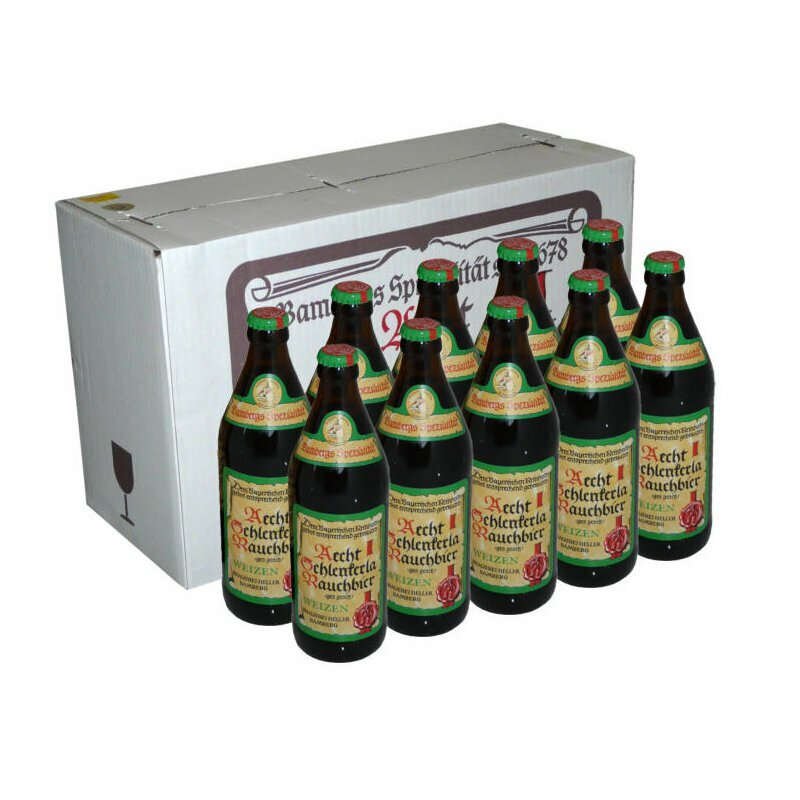 10 bottles of 0.5l of Schlenkerla Smokebeer Wheat. It is an ale with light smoky aroma. As Bavarian wheat beers, it is being brewed with a mixture of both barley malt and wheat malt. 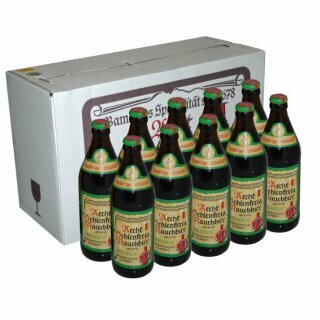 The portion of barley malt is hereby a classic Schlenkerla smokemalt, while the wheat malt remains unsmoked. Served unfiltered with its natural haziness, Schlenkerla Wheat reaches its full aroma through bottle fermentation with fine top fermenting yeast.